1. Choose a head-unit adapter from the list overleaf and connect it to the USC black box. 2. Turn off the ignition supply to the car! with the connector supplied with the 29 series cable. 4. 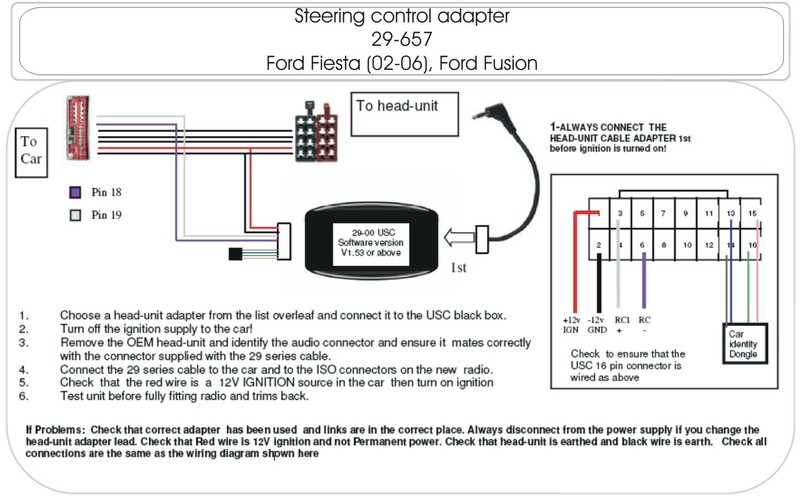 Connect the 29 series cable to the car and to the ISO connectors on the new radio. 6. Test unit before fully fitting radio and trims back. This image was originally from our source. Click HERE to download the PDF versions.